Cardiovascular disease, also called heart disease or CVD, involves disease of the heart and blood vessels, including high blood pressure, coronary heart disease, heart failure, stroke, and congenital cardiovascular defects. CVD is a very common disease. Cardiovascular disease can include many different infections and diseases, most of which deal with blockages in the heart or abnormal heartbeats. The term is most often used in place of atherosderosis, which is damage caused to the blood vessels that carry oxygen all through the body by a fatty plaque buildup in the arteries. Atherosderosis is a thickening or hardening of arteries that sometimes simply occurs because of age. Normal, healthy arteries are flexible, but maintain a lot of pressure through the years that can cause wear and tear. An unhealthy diet, being overweight, not exercising and smoking are all ways that this most common cardiovascular disease can occur. According to a representative of the American Heart Association in testimony before the Social Security Administration in 2010, CVD affects an estimated 81 million American adults. That means more than one in three individuals have one or more types of cardiovascular disease. However, CVD can vary in type and severity. CVD can also vary in its impact on the patient. For some patients with severe forms of CVD, cardiovascular disease can make it difficult, if not impossible, to lead a normal life. CVD is also an equal opportunity disease since it is also the number one cause of death in women. Many of of the foregoing conditions are related to a process called atherosclerosis. Heart failure: This does not mean that the heart stops beating. Heart failure, sometimes called congestive heart failure, means the heart is not pumping blood as well as it should be. The heart keeps working, but the body’s need for blood and oxygen is not being satisfied. Heart failure can get worse if it’s not treated. Arrhythmia: Arrhythmia is an abnormal rhythm of the heart. There are various types of arrhythmias. The heart can beat too slow, too fast or irregularly. Bradycardia is when the heart beats less than 60 times per minute. Tachycardia is when the heart beats more than 100 times per minute. An arrhythmia can affect how well the heart works, especially when the heart is not be able to pump enough blood to meet the body’s needs. Heart valve problems: Stenosis is when heart valves don’t open enough to allow the blood to flow through as it should. When the heart valves don’t properly close and allow blood to leak through, it’s called regurgitation. When the valve leaflets bulge or prolapse back into the upper chamber, that creates a condition called mitral valve prolapse. When this happens, they may not close properly. This allows blood to flow backward through them. If blood vessels have been damaged, it is a normal sign to feel numbness, weakness, coldness or pain in your legs or arms. 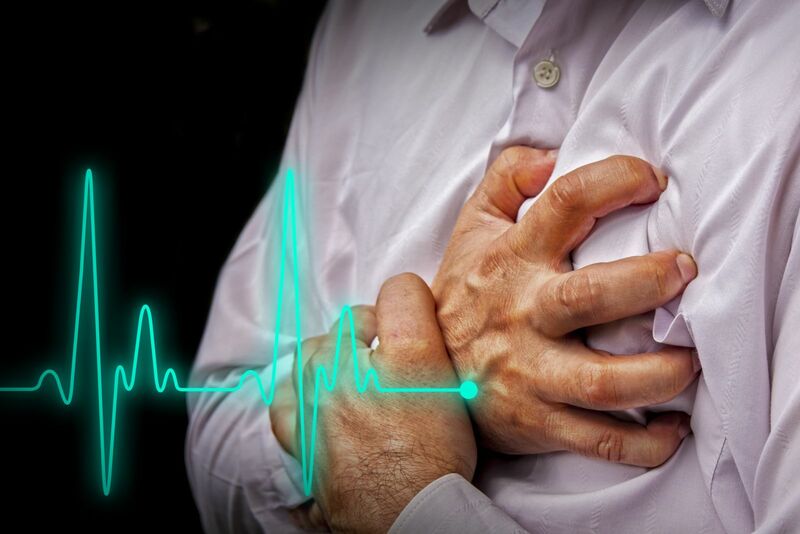 Chest pain and shortness of breath with or without exercise are other common symptoms of having a cardiovascular disease. In many cases, those who have a heart disease do not show signs for extended periods. However, if left untreated, the condition will simply worsen and possibly lead to a heart attack, stroke or sudden cardiac death. It is important to maintain regular doctor visits in order to catch any heart problems early before they lead to such serious conditions. Given its impact, it should be no surprise that some individuals with CVD may have symptoms that are so severe that they are unable to work on a full-time, consistent basis in any occupation. If this is you, then you may be eligible for Long Term Disability or Social Security disability benefits. If you are unable to work as a result of cardiovascular disease, you should consult with an experienced heart disease disability attorney. Unfortunately, long term disability carriers and the Social Security Administration do not make it easy for disabled claimants to receive the benefits that they deserve. If your cardiovascular disorder makes it impossible for you to work and you have been denied your LTD and/or Social Security disability benefits, Mr. Nick Ortiz can help you cut through the red tape and fight for your disability benefits. Give us a call today to discuss your benefits at 850-308-7833.